We are living in a comparison-conscious society. With all the social media channels out there, showing one another a peek into our lives has somehow morphed into a competition. And keeping up can be OVERwhelming! We “follow” one another and look into each others kitchens (recipes and pictures of wonderful food), each other’s bedrooms (decorations, DIY projects, and organization), each other’s playrooms and homeschool rooms (the activities and the accomplishments). And we can be tempted to look at these things and say, “I want that! I should do that in my home!” Which is good. Because the feeling that comes crashing in right after the “oh, isn’t that neat” thoughts, can be inferiority extraordinaire. The less-than feelings that we just need to say NO(!) to immediately but somehow have a way of sticking with us. For those of you who are avid readers of this blog, you know I have been hinting at a big announcement for quite some time and today I am finally ready to unveil it! Ta-dah! 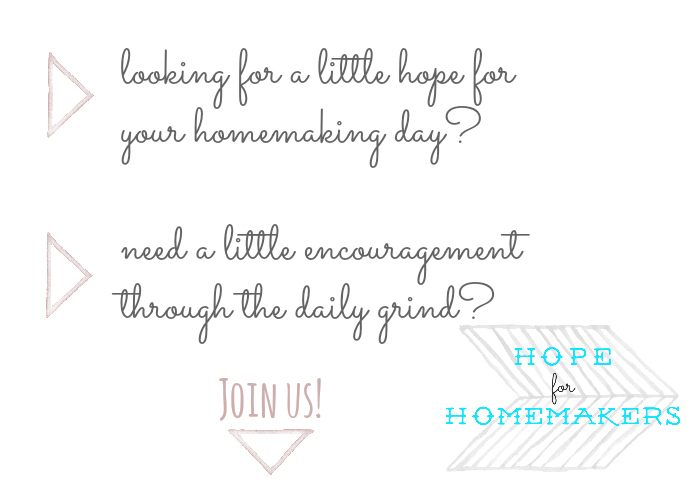 I am so excited to announce a new series for homemakers called Hope for Homemakers. I have been letting this idea simmer for quite some time and can’t wait to get started on it with you. This post contains affiliate links. I do receive compensation when you purchase items. I only bring you things I love and find useful and there is no pressure to buy. Yea! I am so excited to be starting this series. We have some people who have already joined the facebook group and some people who have subscribed to the newsletter emails. If you haven’t done one of these things (or both), please consider it. We are here for encouragement. And encouragement is best spoken one to another. 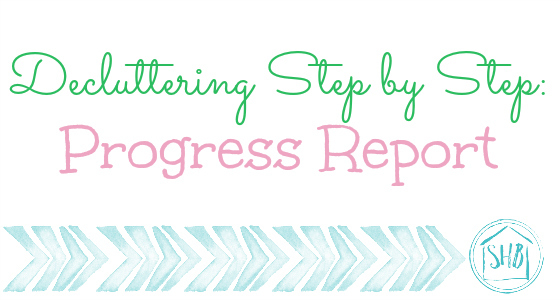 Welcome to the first day of Hope for Homemakers (I feel like it is the first day of school. I love school!)! I am so excited and a bit overwhelmed by what we are about to embark upon, but I am so happy you are going to be right there alongside me for encouragement.